In this tutorial, we present a method to render Golaem simulations with V-Ray Next in 3ds Max. The big advantage of this method is that it uses procedural rendering (saving a lot of memory and enabling to customize shading and asset variation after simulation) in 3ds Max. This method requires the VRay Next for Maya plugin. If you don't have a license, you can download the free Demo version on Chaos Group website. 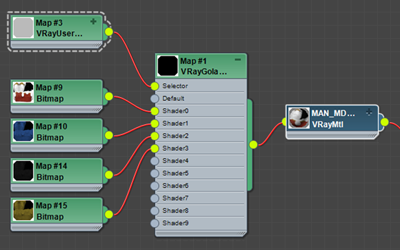 The following workflow will enable rendering Golaem simulations using the V-Ray Adv renderer. The figure below details the workflow of the render of Golaem simulations with V-Ray in 3ds Max. For a better understanding of the process, check the Golaem Rendering Workflow. 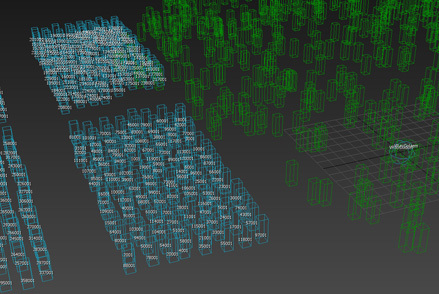 Create your Crowd Simulation within Maya using Golaem. In our example we will use the stadium scene from the Golaem Samples. Once the simulation is done, open the Simulation Exporter to export the Simulation Cache and import the Crowd Shaders in your Maya scene. Once the Simulation Cache will be exported, a Simulation Cache Proxy and a Crowd Render Proxy node will be created and Golaem will be switched in Cache Replay Mode. .
cacheName.proxyNodeName.vrscene which defines how V-Ray should handle the exported Simulation Caches and render them as Crowd Characters (e.g. all the parameters defined in the VRay Render Proxy). Details about this .vrscene file can be found here. cacheName.proxyNodeName_shaders.vrscene which contains the shaders used by the exported Crowd Entities. 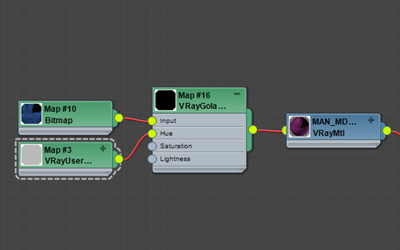 To export the shaders used by the exported Crowd Entities within Maya, the proxy uses VRay's built-in vrscene exporter. If you're using the free Demo version of V-Ray for Maya, keep in mind that only the shaders of the first 200 objects of your scene will be exported as a .vrscene. The exported shaders can be checked when doing a render in Maya. 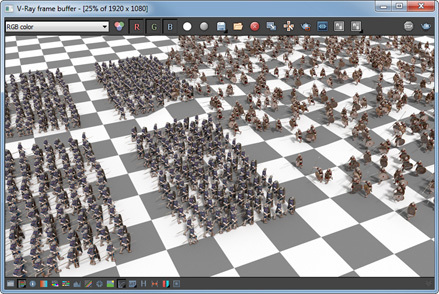 if some Crowd Character meshes appear orange, it means that there're too many objects in the scene. Delete them to export the shaders properly. You must follow a few steps to be able to render Golaem simulations in 3ds Max with V-RAy. The Golaem V-Ray procedural is also contained in the zip file. In this example 3dsMax 2016 is installed in its default location (C:\Program Files\Autodesk\3ds Max 2016), and the Golaem for 3dsMax zip file was extracted to C:\Golaem\Golaem-6.4.3-Max2016. These file paths obviously depend on your own installation and 3dsMax version. It is important for the Golaem related paths to be at the beginning of the %PATH% and the %VRAY4_FOR_3DSMAX2016_PLUGINS% environment varables. 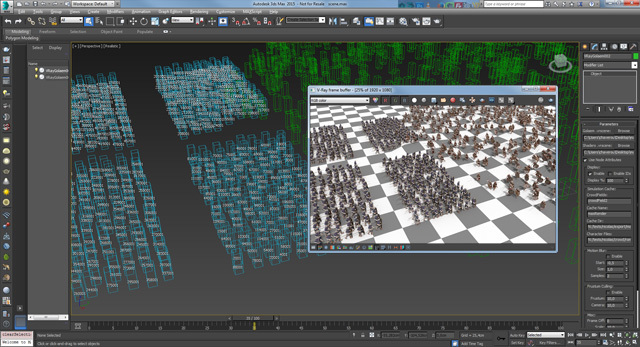 A VRayGolaem node is a 3ds Max proxy object which references a crowd .vrscene file and a shader .vrscene file and handles the rendering of a Golaem Crowd simulation in 3ds Max at render time. It can be created from the Create tab of the Command planel, VRay category, select the VRayGolaem button in the Object Type panel, and then click and drag in a viewport to create it. Please notice that it's not supported to instance a VRayGolaem node. The node has two attributes to load the Crowd and the Shader .vrscene files (optionnal). 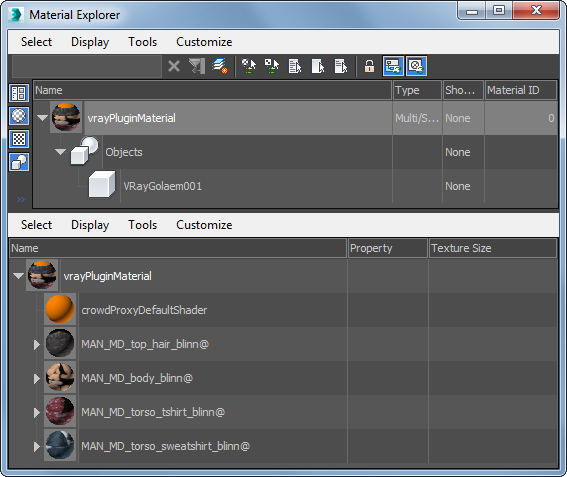 You can specify Texture search paths using the VRAY_ASSETS_PATH environment variable if needed. 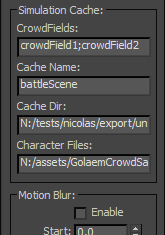 Once the Crowd .vrscene file loaded, the other attributes of the node will be automatically filled according to the content of the file. They now can be edited to change the rendering results (motion blur properties, subdivision attributes...). The 3ds Max node attributes are the same than the Maya node. When you're happy with everything, render with V-Ray and you're done! Notice that this method has the same properties than rendering inside of Maya. It means that it supports 3d motion blur, displacement, frustum culling, subdivision surfaces, shading variation, render passes... More here. The only not supported feature in 3ds Max is light linking. By default, the shaders used by the VRayGolaem node for the Crowd Entities are exported from Maya in a .vrscene file and loaded in the Shaders .vrscene attribute. Those shaders can be directly created in 3ds Max. For performance reasons, only 3ds Max Shaders assigned to the VRay Golaem node (as Multi/Sub-Object shaders) will be available to Crowd Characters. If a Shader listed in the Character File, with the same name, is found both in the Shader .vrscene file and in the VRayGolaem Sub-Objects, the one in the .vrscene file will be used in priority. To fix this, you can either remove the Shader .vrscene file from the proxy node or reexport the Shader .vrscene file from Maya after having deleted the Shader node from your Maya scene. 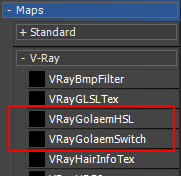 If a Shader listed in the Character File, with the same name, is not found (neither in the Shader .vrscene file nor in the VRayGolaem Sub-Objects), the default shader is used (the name of the default shader can be found / changed in the VRayGolaem node attributes). If the default shader is not found, the meshes requiring that Shader are not rendered. Texture and Color variation can be combined in any ways and a same VRayUserScalar shader can also be used to feed different attributes within the same shading graph. All parameters relative to the Render Proxy (motion blur, frustum culling, subdivision, visibility...) can be changed directly on the 3ds Max node or in its Object / VRay properties panel. The actual transformation and scale of the Render Proxy object in the 3ds Max scene is also taken into account. If you'd like to change any Crowd Shader properties (texture, color, displacement, multi matte IDs...), it can be done on the imported shaders in Maya (and in this case, the Shader .vrscene must be reexported) or on the assigned shaders in 3ds Max (see above). Finally, if you'd like to change the assets repartition or the shading assignment, it must be done in the Character Maker in Maya. When done, you just need to save the changes in the Character File. Exporting the .vrscene files is not required. When do I need to reexport the .vrscene files from Maya? 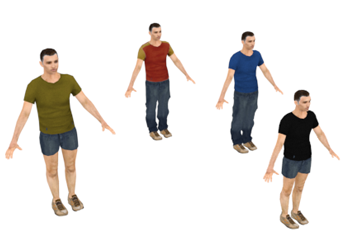 Always remember that because we are using a procedural rendering approach, even in 3ds Max, it is not required to reexport your simulation if you change the mesh repartition (e.g between tshirts and sweatshirts), shading assignment or the shaders index range in the Character Maker's Geometry Tab. Just save it, and re-render! (the only case where it is not true is if you setup ppAttributes to be used by shaders attributes, as they need to be exported with the cache). When I load the Crowd .vrscene, the parameters of the node are not updated. What have I done wrong? VRayGolaem: Error loading .vrscene file "C:\maxExport\vray.crowdProxyVRayShape.vrscene". vray_glmCrowdVRayPlugin.dll plugin was not found in environment variable "VRAY4_FOR_3DSMAX2016_PLUGINS" (C:\Program Files\Chaos Group\V-Ray\3dsmax 2016 for x64/bin/plugins;). "C:\Golaem\GolaemCrowd-6.4.3-Max2016\procedurals;C:\Program Files\Chaos Group\V-Ray\3dsmax 2016 for x64/bin/plugins;"
I haven't found the answer to my question in the answers above. What else? Make sure you're using supported versions of Vray For Maya and Vray For 3ds Max. Those can be different for Maya and 3ds Max and can be checked in the Release Notes. Make sure it renders in Maya. That's usually a good way to check that the first part of the workflow is valid.